Los Angeles County is a vast, dynamic and diverse region. If the County were its own country, it would have the 20th largest economy totaling more than $500 billion annually. Our economy is larger than those of Poland, Belgium, Sweden, Saudi Arabia, Taiwan and Norway. Our region is the world’s top manufacturing capital and creative capital employing more than 4,900,000 people. It also ranks first in international trade. From producing satellites to spaceships and from manufacturing designer jeans to designing cars, it all happens here. The Los Angeles County Economic Development Corporation (LAEDC), a non-profit organization that was created by the L.A. County Board of Supervisors to promote economic development in the region, produced the following infographic to promote Los Angeles County’s diverse industry sectors and the businesses and communities working to make our region a global leader in the 21st Century economy. Los Angeles County is a region that spans 4,083 square miles. Los Angeles County is the nation’s most diverse and populous county. There are nearly 10,000,000 people living in the County. 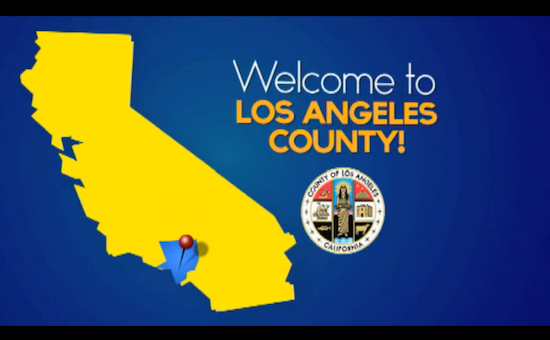 If Los angeles County were a state, it would have the 20th largest economy. 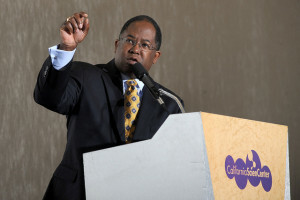 With millions of Americans suffering from economic hardship, Los Angeles provides a unique opportunity for entrepreneurs, businesses, and County residents to pursue their dreams. 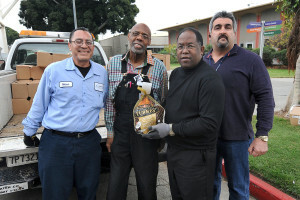 Golden State Water Company in partnership with Los Angeles County Supervisor Mark Ridley-Thomas, delivered 200 turkeys to 13 community organizations this holiday season. 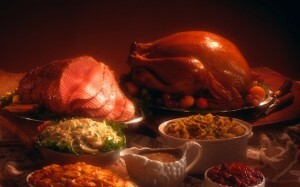 The 13 recipients of the turkeys in the Second District are: the Asian Service Center in Gardena, the East Rancho Dominquez Senior Center, the Florence-Firestone Senior Center, the Lynnwood Senior Center, the Roosevelt Park Senior Center in Florence-Firestone, the Willowbrook Senior Center, the Yvonne Burke Senior Center in Ladera Heights, Trinity Baptist Church in Los Angeles, New Life of Christ Church in Florence-Firestone, Phillips Temple Church in Los Angeles, Pleasant Hill Baptist Church in Los Angeles, and Tabernacle of Faith Church in Los Angeles. Dr. Toni (Antronnette) Yancey, Second District Commissioner, sponsored a motion during the October 13, 2011 First 5 LA Commission meeting to pass an activity break policy to address rising rates of overweight and obese children and families throughout Los Angeles County. Prolonged periods of sedentary behavior are emerging as a threat to health and well-being for children and families independent of achieving the recommended daily amounts of moderate to vigorous intensity physical activity of 30 minutes for adults and 60 minutes for children. Significant social and cultural environmental changes are needed to support individual and family efforts to make healthier choices. First 5 LA Commissioners unanimously adopted the activity break policy motion in an effort to set an example for the businesses and agencies they work with and the children they serve. The new policy establishes 5-10 minutes physical activity breaks during Commission meetings, meetings lasting longer than one hour, conferences, events, and other convenings sponsored by First 5 LA. 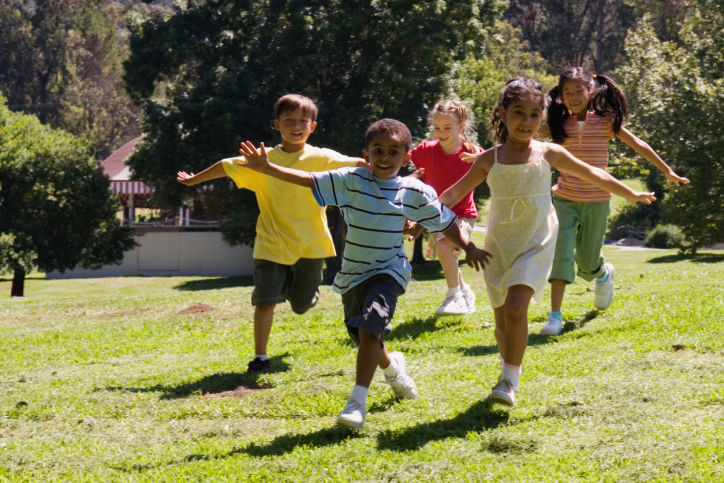 The policy also encourages adoption of similar policies by grantees and partner organizations to support the need for increased physical activity among children and families served by First 5 LA. Dr. Toni Yancey is a leader in the effort to improve the nation’s health through chronic disease and obesity prevention and physical activity promotion through research, teaching and administrative roles. She currently serves on the Board of Partnership for a Healthier America, the non-profit guiding First Lady Michelle Obama’s Let’s Move Campaign. She is also co-chair of a statewide campaign Team California for Healthy Kids to promote healthy eating and physical activity in schools, after school programs, early childhood programs and communities. The Space Shuttle Endeavour, which flew on its last mission in April, now officially belongs to the California Science Center. The crewmembers of the Endeavour, including Commander Mark Kelly, were feted at the museum earlier this week as the space agency turned over Endeavour’s title to the museum. The Science Center vied with museums across the country to house one of four orbiter vehicles being decommissioned by NASA, and its selection as a home for Endeavour is an ongoing source of pride for Los Angeles, Southern California and the entire state. Hundreds of children from the magnet school attended the event, shaking hands with the astronauts and vowing that they too would one day reach space. There is no arrival date yet set for Endeavour, but eventually the shuttle will arrive in Los Angeles mounted atop a modified Boeing 747. It will travel through the streets of Inglewood and Los Angeles, and Mayor Antonio Villaraigosa has said an enormous parade will accompany the orbiter. 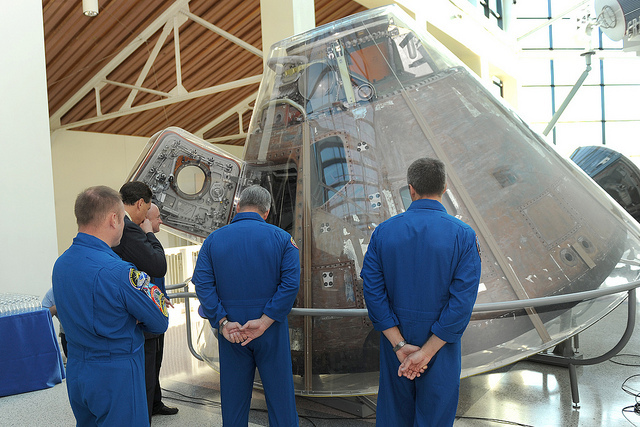 Ultimately Endeavour, named for Captain Cook’s storied sailing vessel, will join other artifacts at the Science Center devoted to air and space exploration.